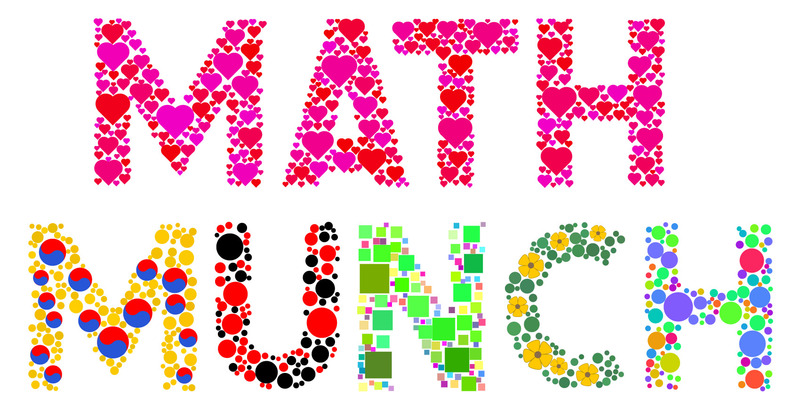 Welcome to this week’s star-studded Math Munch! Continuing on our theme of stars, check out these beautiful star tessellations. They come from a site made by Jim McNeil featuring oh-so-many things you can do with polygons and polyhedra. On this page, Jim tells you all about tessellations, focusing on a category of tessellations called star and retrograde tessellations. Take, for example, this beautiful star tessellation that he calls the Type 3. Jim describes how one way to make this tessellation is to replace the dodecagons in a tessellation called the 12.12.3 tessellation (shown to the left) with twelve-pointed stars. He uses the 12/5 star, which is made by connecting every fifth dot in a ring of twelve dots. Another way to make this tessellation is in the way shown above. In this tessellation, four polygons are arranged around a single point– a 12/5 star, followed by a dodecagon, followed by a 12/7 star (how is this different from a 12/5 star? ), and, finally, a 12/11-gon– which is exactly the same as a dodecagon, just drawn in a different way. I think it’s interesting that the same pattern can be constructed in different ways, and that allowing for cool shapes like stars and different ways of attaching them can open up crazy new worlds of tessellations! Maybe you’ll want to try drawing some star tessellations of your own after seeing some of these. Finally, to finish off our week of everything stars, check out the star I made with this double pendulum simulator. What’s so cool about the double pendulum? It’s a pendulum– a weight attached to a string suspended from a point– with a second weight hung off the bottom of the first. Sounds simple, right? Well, the double pendulum actually traces a chaotic path for most sizes of the weights, lengths of the strings, and angles at which you drop them. This means that very small changes in the initial conditions cause enormous changes in the path of the pendulum, and that the path of the pendulum is not a predictable pattern. Using the simulator, you can set the values of the weights, lengths, and angles and watch the path traced on the screen. If you select “star” under the geometric settings, the simulator will set the parameters so that the pendulum traces this beautiful star pattern. Watch what happens if you wiggle the settings just a little bit from the star parameters– you’ll hardly recognize the path. Chaos at work! Happy star-gazing, and bon appetit!